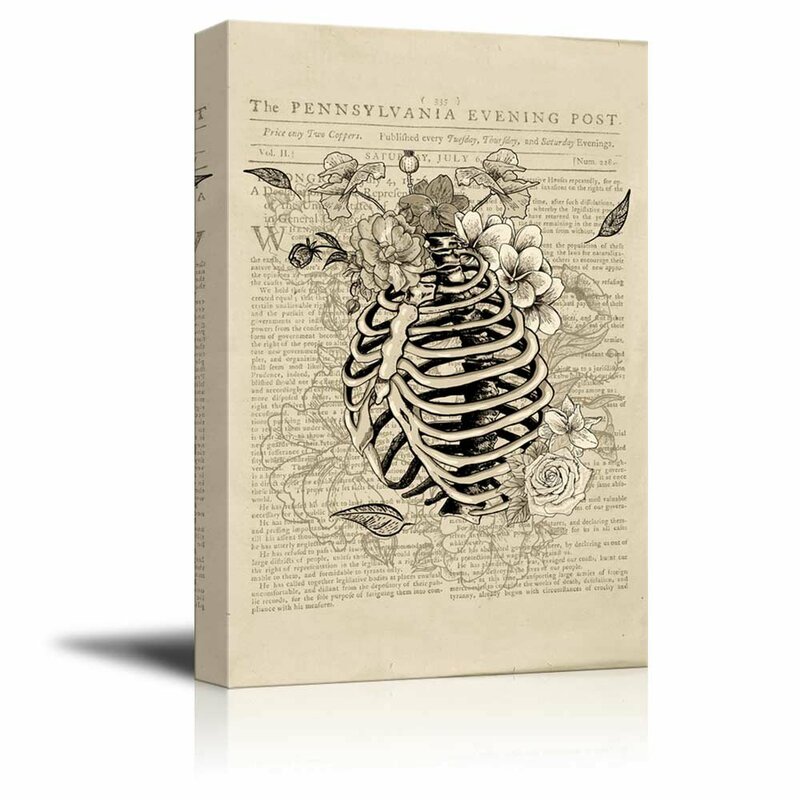 wall26 - Canvas Wll Art - Skeleton with Flowers on Vintage Newspaper Background - Giclee Print and Stretched Ready to Hang - 32"x48"
Just like the picture online. Good quality and the photo is a true representation. It's hanging in my bathroom and holding up well even with constant moisture exposure. It's difficult to find larger prints at a reasonable price. Very happy with this purchase.